The3dForce: Alabama race shows: third-party groups are “all talk, no walk”. "And solidifying Mr. Jones’s victory were the Republican-leaning Alabamians who chose to write in the name of a third candidate rather than back one of the two major party nominees. Over 20,000 voters here cast write-in ballots"
This IS why the Democrats NEED a strong 3d "party" movement - to give Republican voters who will never vote for a Democrat an outlet! Major papers urge Alabamians not to vote for Roy Moore. Despite everything, there is no doubt that Roy Moore will be elected. Because many people in Alabama will just not vote for a Democrat. Where are you when you are needed the most??!! This is wat I call a PATHETIC political activity. Political science is not an actual science like physics, but it also shows demonstrates predictability. For example, in September of 2016 I tried to contact Clinton's advisers to warn them that "Trump is bad, I am good!" campaign is NOT enough to win (http://www.gomars.xyz/op.html: the collection of some ideas from the past). Like Michael Moore I knew Trump would win (unless a miracle would happen, and it didn't). At the time Bernie Sanders was a Democrat, but soon he announced that he would run for the Senate in 2018 as an Independent. And I am sure, he will not switch to the Democratic party any more. Then I posted Biden-Sanders picture on Facebook, and lots of people just laughed (although, more than 8 thousand people have been reach, whatever that means). And soon later, Biden said he may run in 2020, if there will be no good Democratic candidate. “The number one goal of a small third party should be preventing opposition from gaining seats. The most important goal for an American small party (especially in 2018) should be taking Congress seats from Republicans; making Republican party to be the Congress minority. Ideally, the seats lost by Republicans would be taken by the third party candidates, but this goal is secondary”. This prediction has not happened, yet. Unfortunately, no “outsider” runs in Alabama. Independents, or Sanders supporters, or candidates from registered third-parties did not want to give this race a try, just to test the ground, get experience, make some noise, or maybe even make some history. It only confirms my strong opinion about all existing groups of “outsiders” (i.e. non-Democrats and non-Republicans) – all talk, no walk; or (my version) all words, no force, no action. Those groups are run by narcissistic leaders or political newbies who use politics as means for boosting their own ego. Members of those groups need to find new leaders; leaders, who would concentrate on actual political goals, starting from fighting in all upcoming political races, even when the odds may be far against them. After zeroing-in on the same goal, they may have a chance to forge a political collaboration strong enough to finally create the actual 3-d political force in America. But – and it is important – people need to set on a common GOAL (like bringing in all races an “outsider” candidate), NOT a common DREAM (like a third-party President). Unfortunately, no "major" third-party or independent group wants to invest time and money into a groundwork, like, economic and political analysis, strategic planning, interstate networking, etc. Instead, what they like to do is gathering large summits. We have seen already several of such summits. 1. 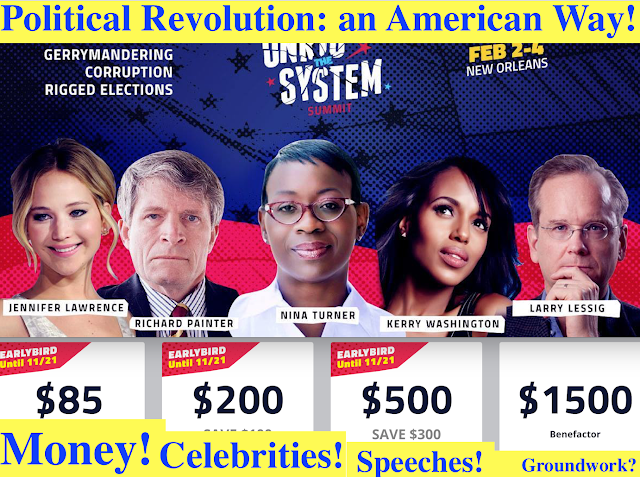 Is "Our Revolution" our? 2. Is "Our Revolution" a revolution? The answer to the first question is - probably - "yes"; those people seems to have a genuine intention to fight inequality and to support working class, and middle class Americans. But the answer to the second question is definitely "NO". So far, all they do is saying good words, giving uplifting speeches, and setting up big fundraising summits. A revolution demands meticulous groundwork. Senator Sander's "Guide" is not really a guide, but a "Manifesto" (http://the3dforce.blogspot.com/2017/10/kingmaker.html). The sooner all "revolutionaries" accept this as a fact, the sooner they begin designing an actual revolution. Maybe, reading and analyzing such literature would help the progressives to avoid mistakes already made in Alabama? Even if Roy Moore will miraculously lose, it could not be taken as a win for the Democrats (the same way as Trump did not win - but Clinton lost). 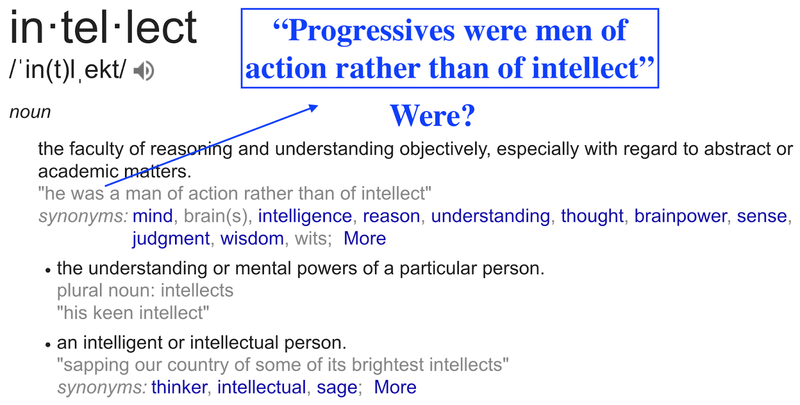 Progressives of all sort are busy with fashioning a big fiery GALA. Instead of preparing the big gala, all "progressives" in all 50 states should seize the moment,get a camera man, and make EVERY republican politician to say on the record what they think about Roy Moore, so they could use this tape in 2018 race - this IS strategic planning. 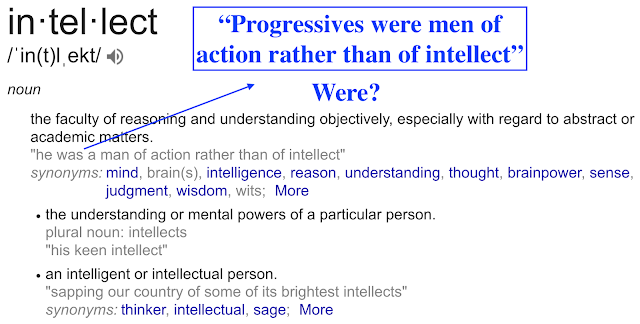 Unfortunately, at this point, all "resistance" groups are more "men of action rather than of intellect". Sorry for the sad fact. 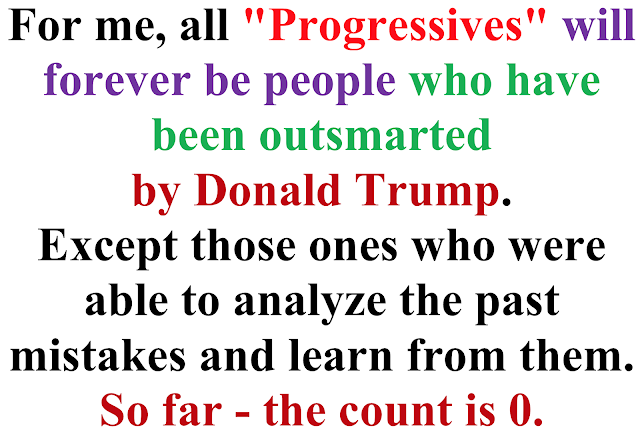 For me, all "Progressives" will forever be people who have been outsmarted by Donald Trump. Except those ones who were able to analyze the past mistakes, learn from them, and be open about them. So far - the count is 0.